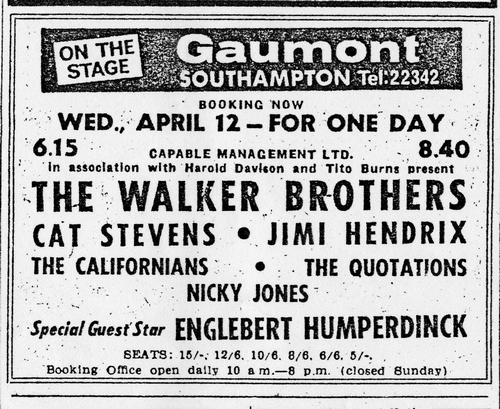 The Experience perform two sets at Gaumont in Ipswich as part of the extended package tour featuring: The Walker Brothers, Cat Stevens, Engelbert Humperdinck, The Californians, The Quotations, and MC Nick Jones. 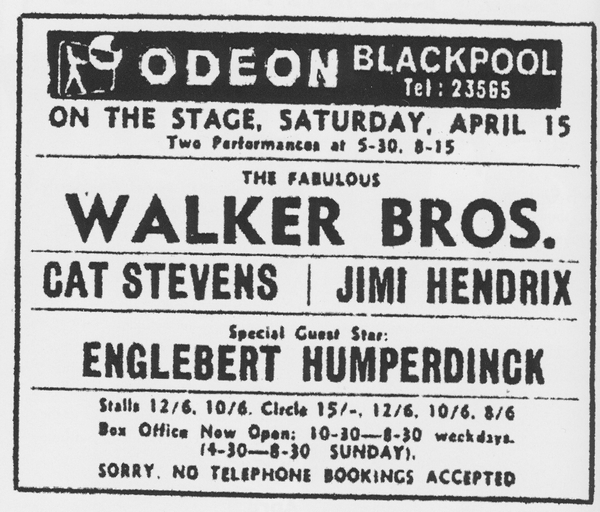 The Jimi Hendrix Experience perform two shows at the Odeon Cinema in Leeds, Yorkshire as part of the ‘package tour’ alongside The Walker Brothers, Cat Stevens, Engelbert Humperdinck, The Californians, The Quotations, and MC Nick Jones. 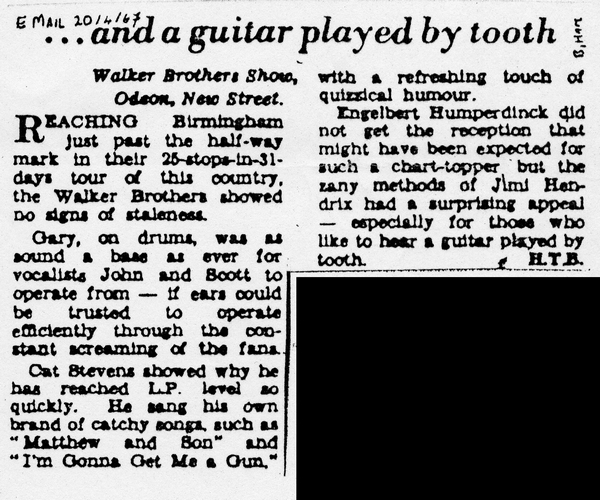 The Jimi Hendrix Experience perform two shows at the Odeon Cinema in Glasgow, Scotland as part of the ‘package tour’ alongside The Walker Brothers, Cat Stevens, Engelbert Humperdinck, The Californians, The Quotations, and MC Nick Jones. 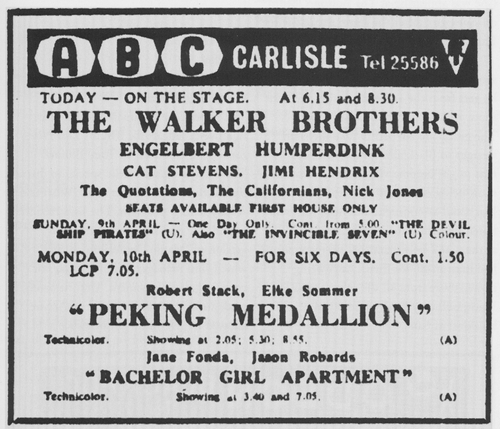 The Jimi Hendrix Experience perform two shows at the ABC Cinema in Carlisle as part of the ‘package tour’ alongside The Walker Brothers, Cat Stevens, Engelbert Humperdinck, The Californians, The Quotations, and MC Nick Jones. 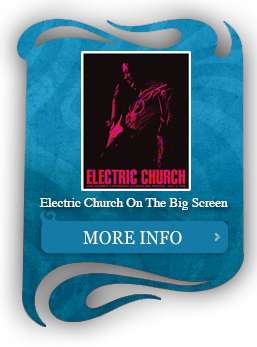 The Jimi Hendrix Experience perform two shows at ABC Cinema in Chesterfield, Derbyshire as part of the ‘package tour’ alongside The Walker Brothers, Cat Stevens, Engelbert Humperdinck, The Californians, The Quotations, and MC Nick Jones. 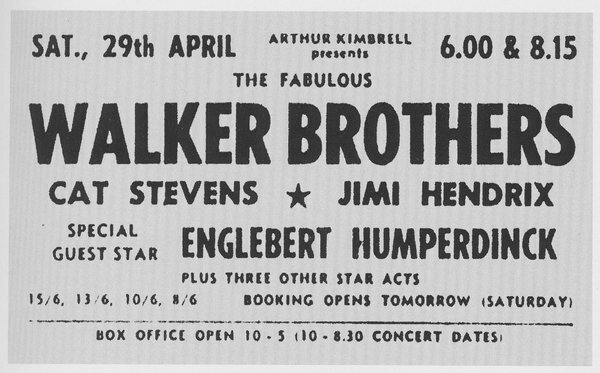 The Jimi Hendrix Experience perform two shows at The Empire in Liverpool as part of the ‘package tour’ alongside The Walker Brothers, Cat Stevens, Engelbert Humperdinck, The Californians, The Quotations, and MC Nick Jones. 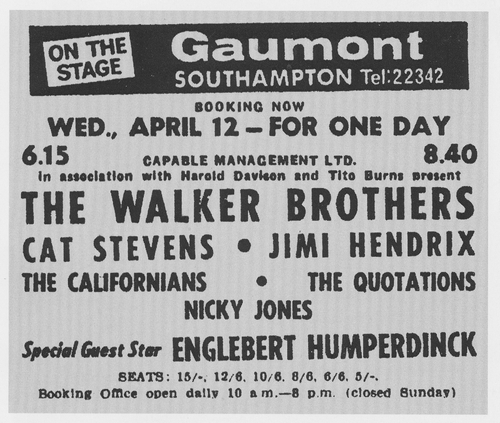 The Jimi Hendrix Experience perform two shows at the Gaumont Cinema in Southampton as part of the ‘package tour’ alongside The Walker Brothers, Cat Stevens, Engelbert Humperdinck, The Californians, The Quotations, and MC Nick Jones. 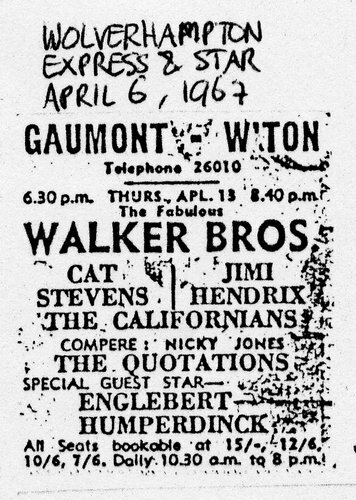 The Jimi Hendrix Experience perform two shows at the Gaumont Cinema in Wolverhampton as part of the ‘package tour’ alongside The Walker Brothers, Cat Stevens, Engelbert Humperdinck, The Californians, The Quotations, and MC Nick Jones. 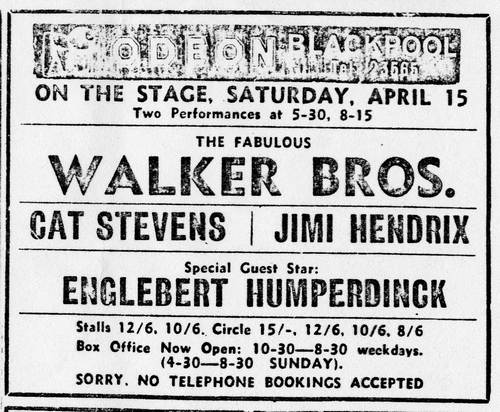 The Jimi Hendrix Experience perform two shows at the Odeon Cinema in Bolton, Great Manchester as part of the ‘package tour’ alongside The Walker Brothers, Cat Stevens, Engelbert Humperdinck, The Californians, The Quotations, and MC Nick Jones. 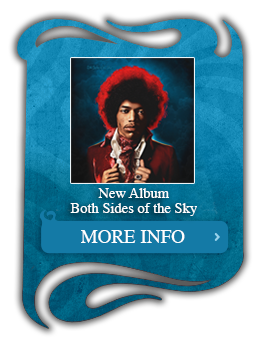 The Jimi Hendrix Experience perform two shows at De Montford Hall in Leicester as they continued as part of the ‘package tour’ alongside The Walker Brothers, Cat Stevens, Engelbert Humperdinck, The Californians, The Quotations, and MC Nick Jones. 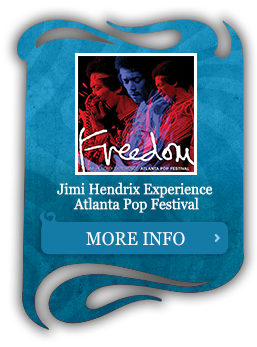 The Jimi Hendrix Experience perform two shows at the ABC Cinema as part of the ‘package tour’ alongside The Walker Brothers, Cat Stevens, Engelbert Humperdinck, The Californians, The Quotations, and MC Nick Jones. The Jimi Hendrix Experience perform two shows at the City Hall in Newcastle as part of the ‘package tour’ alongside The Walker Brothers, Cat Stevens, Engelbert Humperdinck, The Californians, The Quotations, and MC Nick Jones. 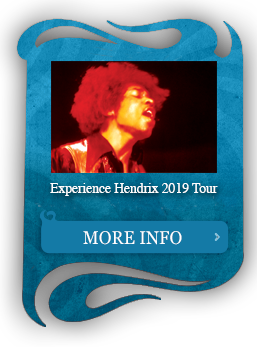 Continuing with the UK package tour featuring The Walker Brothers, Cat Stevens, Engelbert Humperdinck, The Californians, The Quotations, and MC Nick Jones; The Jimi Hendrix Experience perform two shows at the Odeon Cinema in Manchester. 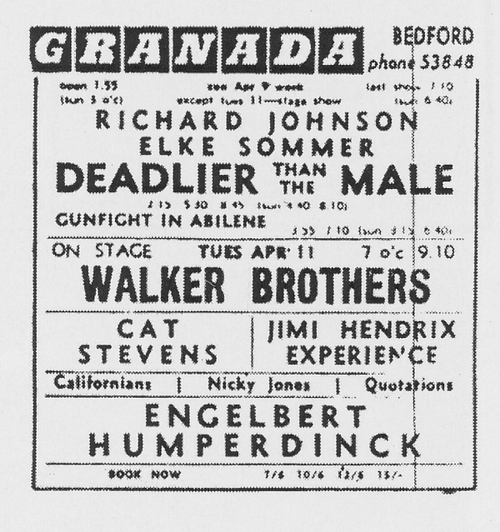 The Jimi Hendrix Experience perform two shows at the Gaumont Cinema in Hanley, Staffordshire as part of the ‘package tour’ alongside The Walker Brothers, Cat Stevens, Engelbert Humperdinck, The Californians, The Quotations, and MC Nick Jones. 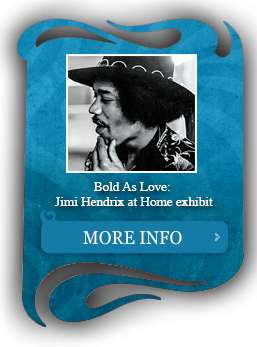 The Jimi Hendrix Experience perform two shows at Colston Hall in Bristol as part of the ‘package tour’ alongside The Walker Brothers, Cat Stevens, Engelbert Humperdinck, The Californians, The Quotations, and MC Nick Jones. 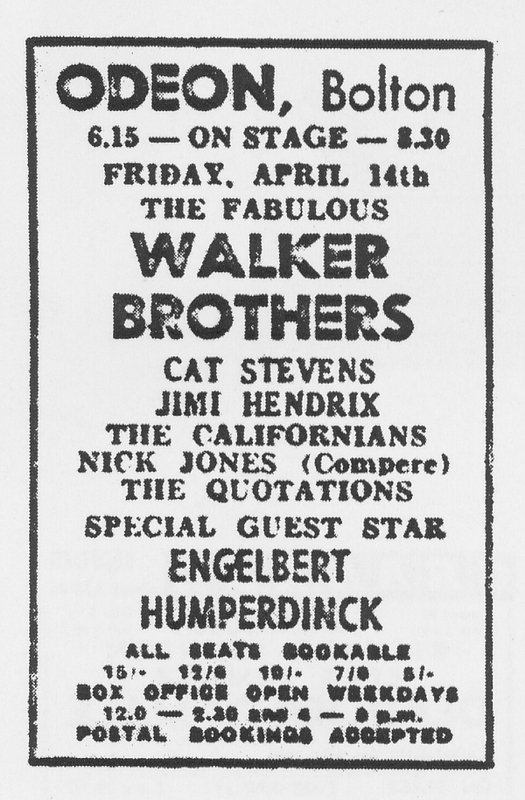 The Jimi Hendrix Experience perform two shows at the Capitol in Cardiff, Wales as part of the ‘package tour’ alongside The Walker Brothers, Cat Stevens, Engelbert Humperdinck, The Californians, The Quotations, and MC Nick Jones. 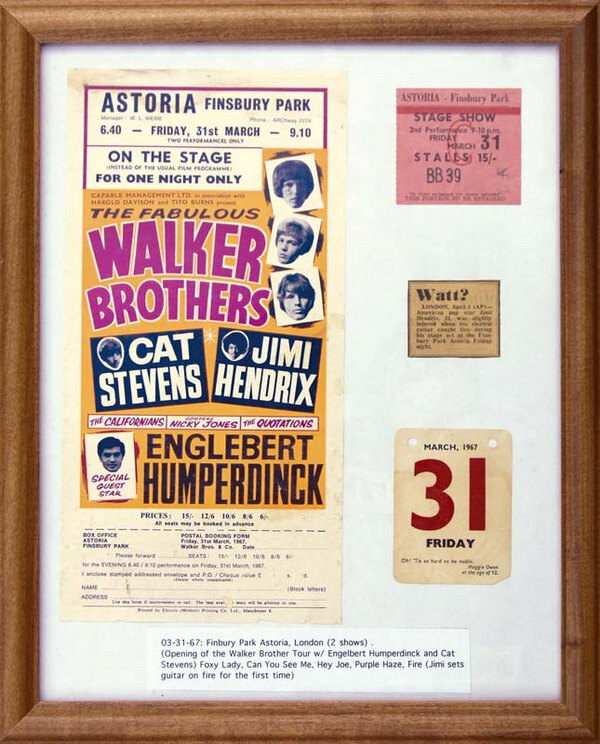 The Jimi Hendrix Experience perform two shows at ABC Cinema in Aldershot as part of the ‘package tour’ alongside The Walker Brothers, Cat Stevens, Engelbert Humperdinck, The Californians, The Quotations, and MC Nick Jones. 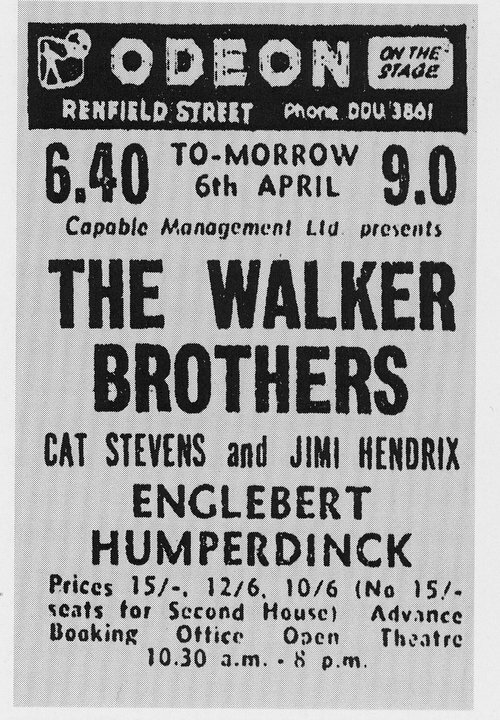 The Jimi Hendrix Experience perform two shows at the Adelphi in Slough, Berkshire as part of the ‘package tour’ alongside The Walker Brothers, Cat Stevens, Engelbert Humperdinck, The Californians, The Quotations, and MC Nick Jones. 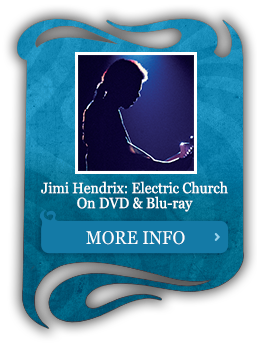 The Jimi Hendrix Experience perform two shows at the Winter Gardens in Bournemouth as part of the ‘package tour’ alongside The Walker Brothers, Cat Stevens, Engelbert Humperdinck, The Californians, The Quotations, and MC Nick Jones. The Jimi Hendrix Experience’s first UK Tour comes to a close following two final performances at Granada theatre in Tooting (London). 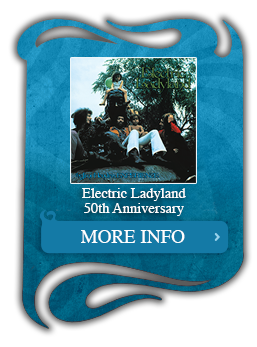 Once again the evening includes performances by The Walker Brothers, Cat Stevens, Engelbert Humperdinck, The Californians, The Quotations, and MC Nick Jones; The Jimi Hendrix Experience perform two shows at the Granada in Bedford.